Preston Motorcycle club held yet another fantastic open event on Sunday the 22nd of May, this occasion was an open track day/supermoto day, and Rider tuition skills course. The day was open to both members and non members, as well as MA license holders and non-license holders. 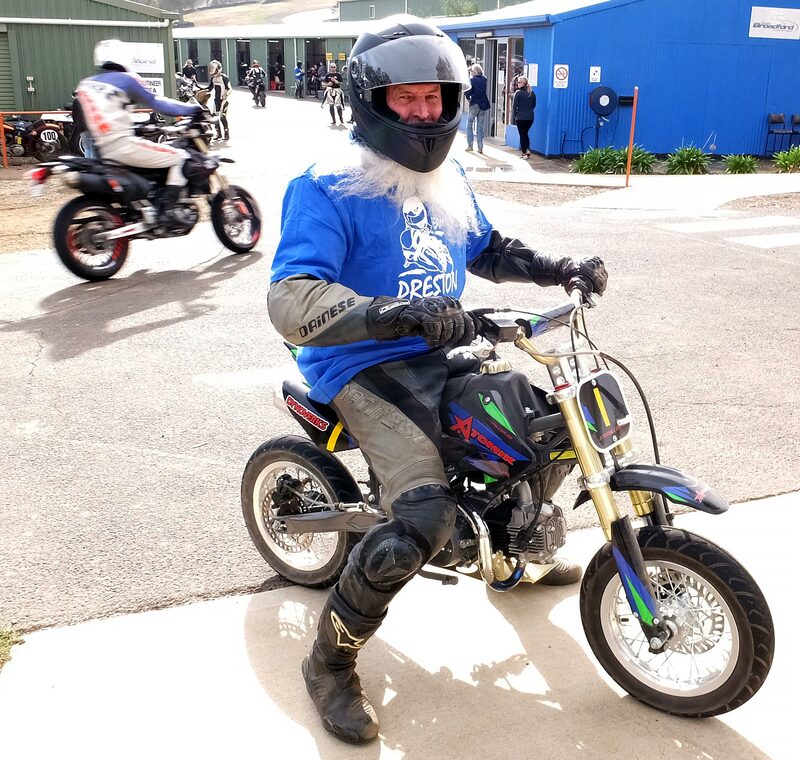 I doubt that I’ve ever seen so many people at a Broadford ride day, and it could only be heralded as an overwhelming success, not only for the club, but also for all those who participated. In the end, some people who did not take advantage of the pre-booking arrangements, missed out and had to be turned away on the day in order to maintain track safety. Thus, there was never too many riders on the track at any given time. 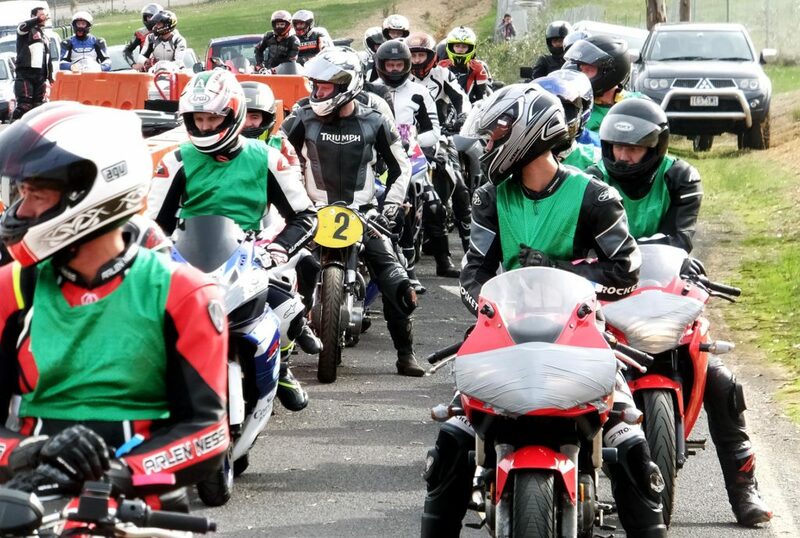 The day caters for almost every rider, from complete beginners venturing out for their first ever track day, right through to current top level A grade road racers, with the groups graded accordingly to provide a safe and fun environment for all participants. 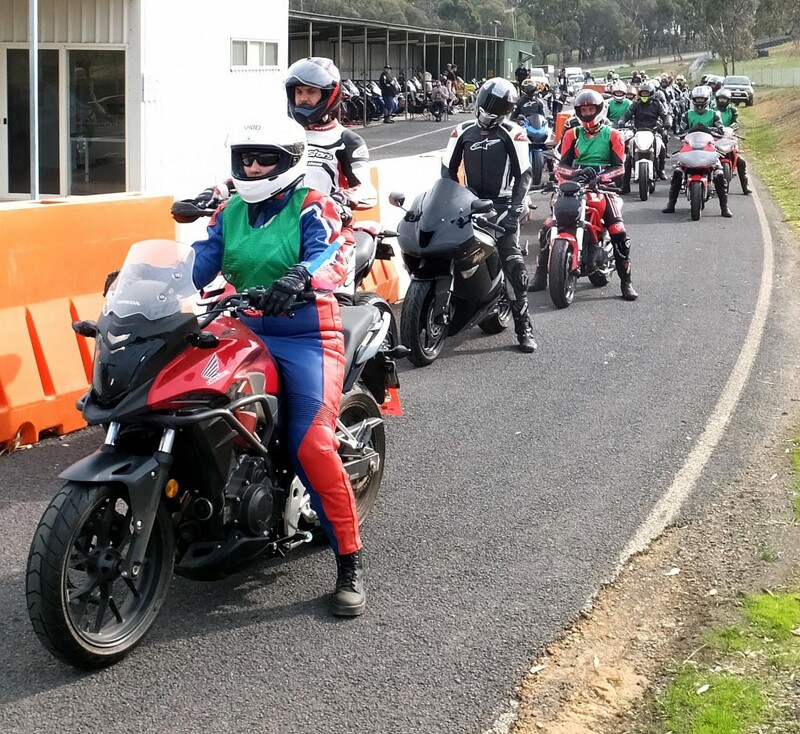 It was also great to see the amount of female riders who participated, with some who attended the “Girls Only Ride Day” on the Saturday, deciding to turn it into a double header and do the Preston open day on the following day, and the rest turning up for the open track day by itself. I would make a guesstimate, there would have been around 20 per cent female participation in the day. That’s a healthy sign for both motorcycling and road racing in the future. For this event, there was also designated Supermoto sessions, utilising the dirt supermoto section of the road race circuit, which includes some nice jumps and awesome berms to rail. The next open day will also be preceded by a junior Supermoto Development day. 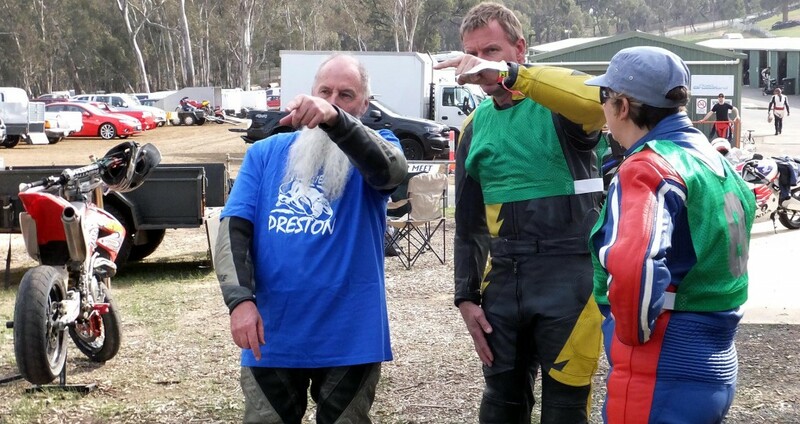 President of Preston Motorcycle Club Bruce Hill had one of the Junior Supermoto Development bikes on hand and when his Husqvarna Supermoto bike sheered the sprocket carrier off the Marchesini rear wheel, Bruce took to the track on the Junior bike. Although looking like a Greyhound shagging a tennis ball, he still managed to keep up with many riders in the Supermoto sessions. I’m sure having a pesky little 150cc mini Supermoto bike rounding you up might be incentive to pick up your pace! 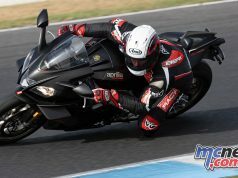 The club also offered rider tuition for all levels of riders. Unlike some rider training courses, which are a strictly indoctrinating process, Preston take a much more hands on approach, with a large number of coaches from many classes of road racing, including some of the fastest road racers in the country, doing one-on-one training with the riders throughout the course of the day. 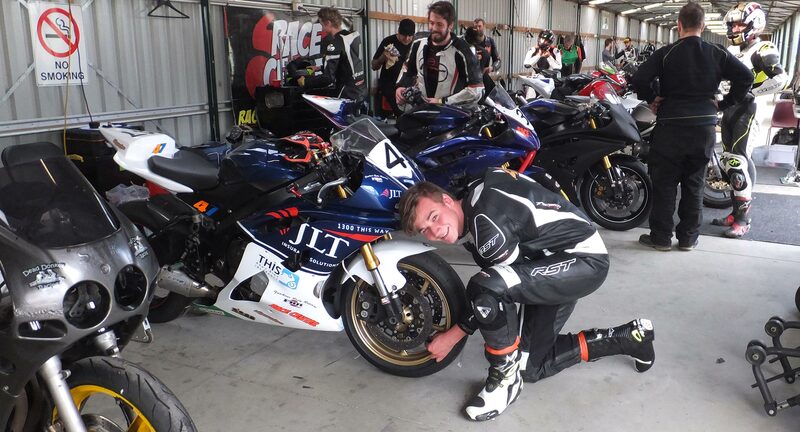 This type of coaching is hugely beneficial, where a talented current road racer can spend so much one on one time in classroom sessions, on track coaching and debriefing in the pit garages in between sessions. I spoke with several riders who were undertaking the coaching session, with every one of them very pleased with the time each coach spent with them, the content of the coaching and the improvement in their riding they achieved by the end of the day. One other pleasing aspect of the way in which this was undertaken, was it’s relaxed and casual nature. Without the usual pressures of a rigidly structured primary school style process. 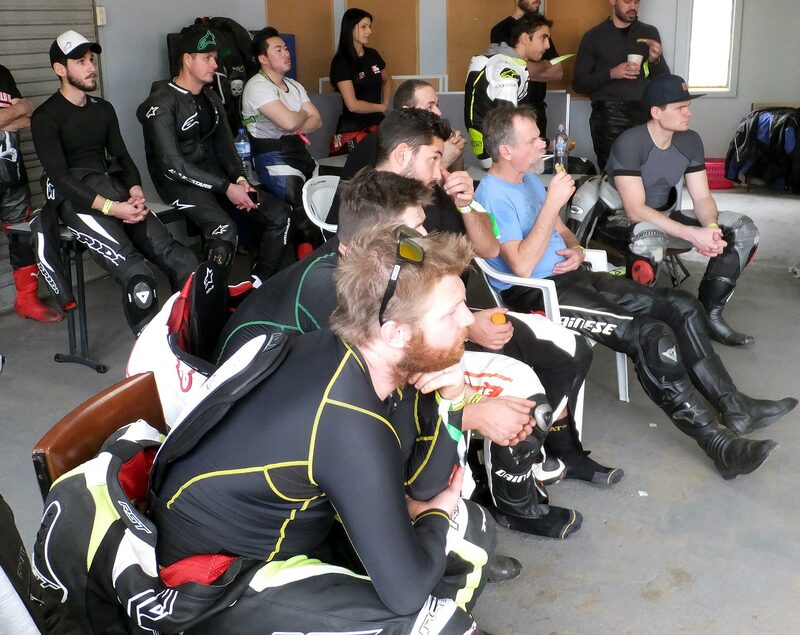 Coaches spent a lot of time both following and observing, then leading the riders around the track, covering everything from body positioning, track reference points and braking markers, to steering, brakes and throttle control. 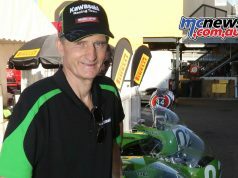 An addition to this years day, was the presence of Darren Scibberas from Race Center. 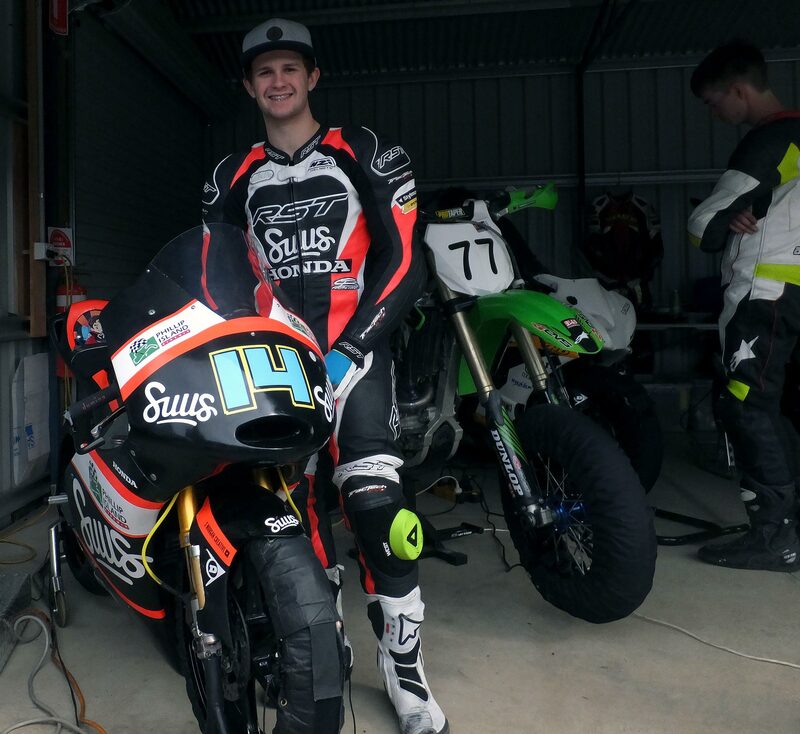 Darren, a former road racer, turned suspension tuner and fettler of many previous and current road racers bikes, including Jed Metcher, was on hand to offer bike set-up tips for any riders who wanted to gain a little more from their day. Darren also conducted a suspension set-up seminar during the lunch break, which offered an overview of suspension, how it works, what it does and how a rider can alter settings to get a little more enjoyment from their bike. This was a free seminar, included in the cost of the day for all participants. Mark Lamont was also on hand with a tyre fitting services for all participants, as well as spending much of his time assisting riders with maintaining correct tyre pressures and addressing wear issues caused by poor suspension set ups, ensuring riders got the best out of their day and the most out of their tyres. The atmosphere in the pits was a far more friendly and social atmosphere to that you might expect to see at other track days. It appeared the egos had been left at home and everyone was just out to have a fun and exhilarating ride around one of Australia’s best racetracks. If you have not been to Broadford Road Race Circuit, it should be one for your bucket list, with lots of elevation and camber changes to make it one of the most technical tracks you can ride. And of course, plenty of back wheel action with anything over about 60 horsepower as the front lofts coming out of the affectionately known “crash” corner and down the hill towards the esses. 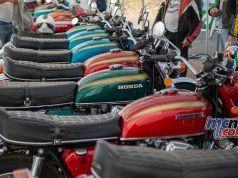 The next Preston Motorcycle Club open day will be conducted on Saturday the 8th of October. In addition to the open day on the Saturday, on Sunday the 9th, there will be Victoria’s first ever Bracket Racing meeting. Bracket racing is a slightly less intense format of road racing, whereby each rider has to nominate their lap-time and the rider who crosses the line first without breaking out of their nominated bracket is the winner. It has been a common form of bike racing in some other states for many years and has proven to be a great intermediate step before deciding to take on the challenge of going racing full time. For Further information on how you can get involved, jump onto the Preston Motorcycle Club Facebook page.